Nothing makes a women cringe more than being asked if she needs help. Whilst many of us get a lot of pleasure from other helping people, we often think we are ‘bothering’ people we ask for help or accept it when it is offered. This is not just asking people for help. In Yoga, blocks are used to assist when you are not flexible enough to touch the floor. Having your hand on a block rather than the floor can allow you to relax into the posture until your flexibility improves and then you can use a smaller block or remove it entirely. When I attend Yoga class, I find I am one of a few participants who use Yoga blocks. This is not because I am the most inflexible person in the class. It is because I am one of the few people who will accept help when it is offered. I find this is so reflective of life; frequently we are offered help but refuse and think we will struggle on without it. We make life much more difficult than it needs to be and I see a lot of menopausal women behaving like this. Perhaps they are feeling sensitive that they feel they are getting older. 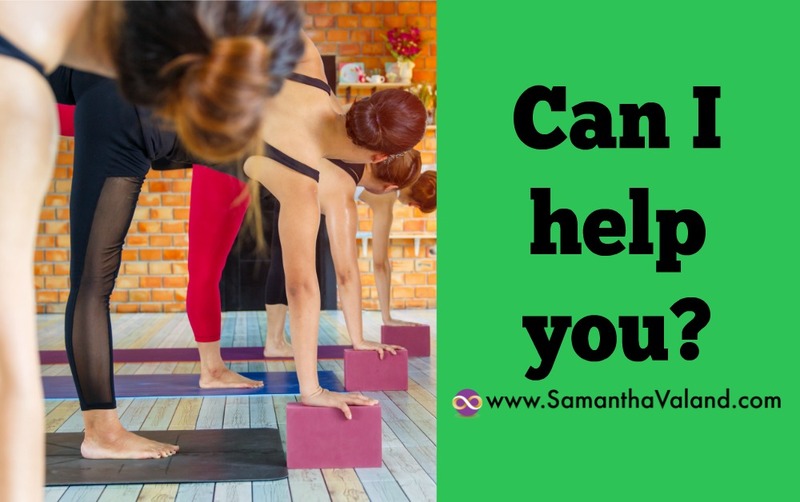 I’m not sure, but what I do know in Yoga, I improve quicker than other’s because I’ll accept help and feedback and I don’t think it’s a negative thing. Think back over the last week, has someone offered you help and you have refused it? Perhaps you have always done something a particular way or whoever is offering would not do it “perfectly” or the same way as you would. One of the gifts of the menopause is that we are reflective on the way we live our lives and the changes we can make to improve and enrich our lives for the future. Have you been offered a Yoga block and said no thanks? Can you say “thank you” next time?